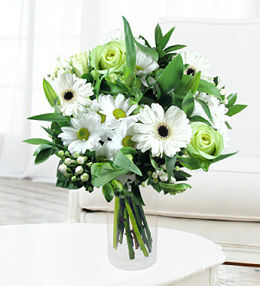 A cheeky white bouquet jam packed full of fresh white flowers available for delivery accross the UK. 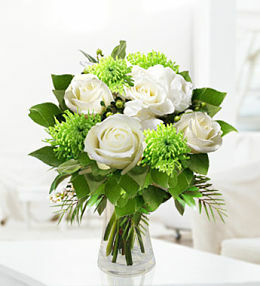 White flowers are popular for times of sadness and love. 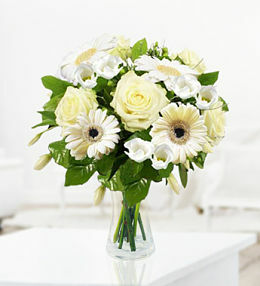 Most popular as funeral flowers, sympathy flowers or just because.